There’s no other way to describe water that erupts from the ground with such clarity and smoothness. Bottled at the source on Chuck Norris’ Lone Wolf Ranch, we add nothing and take nothing away. It is Ice Age water, at its purest. CForce Water comes from a sustainable aquifer deep under Chuck’s Lone Wolf Ranch in Navasota, TX. CForce doesn’t flow from the ground—it bursts from an artesian aquifer with the same unharnessed power and intensity you’d expect from Chuck Norris’ roundhouse kick. To maintain the power and purity of the force, CForce is bottled at the source and delivered straight to you, not touched and unlike any other. The clean, smooth taste comes from an artesian aquifer that filters pure, nutrient-rich water. Chuck Norris is an international movie star and martial arts master who dedicates himself to health, fitness, humanity, strength and spirit. This is his water, straight from his ranch. 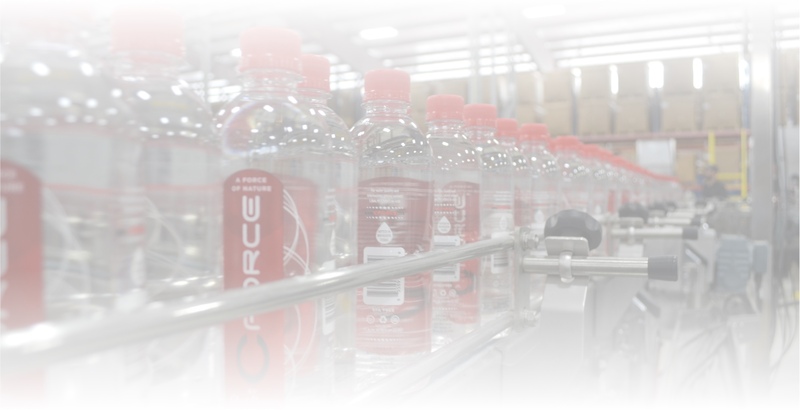 CForce strives to create a carbon neutral product in all parts of the bottling process. This includes the use of BPA-free, 100% recyclable bottles to reduce environmental impact. 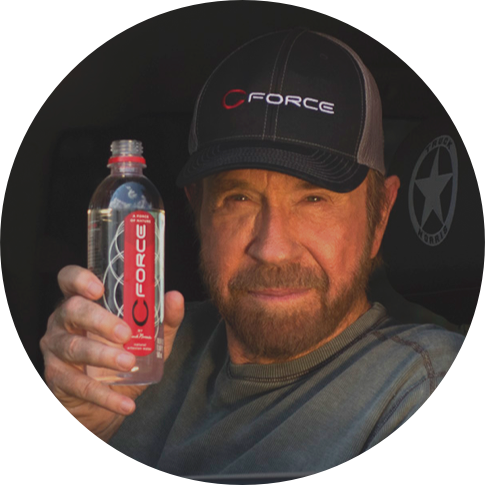 CForce is bottled at the source under the supervision of Gena and Chuck Norris and their family. The Norris’ take great pride that every bottle adheres to the same level of excellence the Norris name has represented for years. 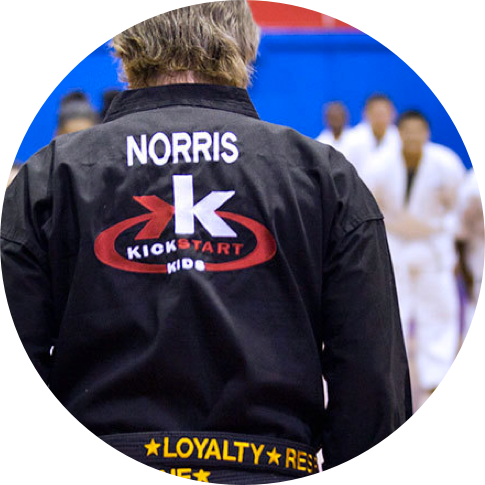 A portion of CForce sales benefits environmental initiatives and Kickstart Kids—a charity that empowers at-risk youth and teaches character through karate. The Norris family has supported these causes for more than 25 years. 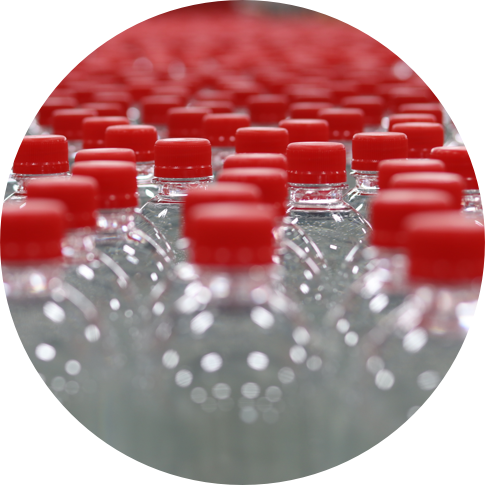 CForce Bottling Co. is one of the biggest private bottling companies in Texas, providing full service production: filling, capping and packaging bottles for shipment. has a naturally high pH level at the time of bottling right from the artesian aquifer to help balance out an acidic diet. has zero turbidity, providing unparalleled clarity. has 100% less hardness, resulting in smoother, softer water. has 100% recyclable bottles to help reduce environmental impact. CForce water flows to the surface on its own volition. This groundwater source is unlike other waters in the area, as the earth filters it naturally by flowing through rocks formed from volcanic rocks and ash. From an aquifer so deep that it is immune to all biological factors, our raw, high-quality water is collected at our sustainable source to be bottled. Our water goes directly from the aquifer to our filtration system. We make sure we deliver the highest quality product to our customers by producing our water with state-of-the-art filtration technology. Today, we bring you CForce. 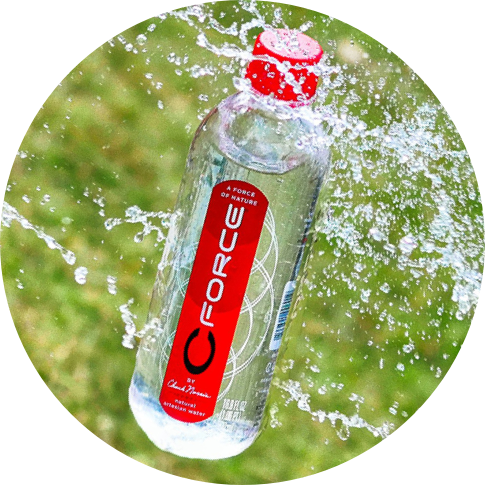 Minimally filtered to preserve the natural, pure taste, CForce is bottled at the source to bring you some of the highest quality and great-tasting water around. Chuck Norris heard you were thirsty, so he punched the ground and made the Earth cry.